This Easter, my 17 year old son got sick for the last days of the holidays, so we left the mountains were we usually stay. 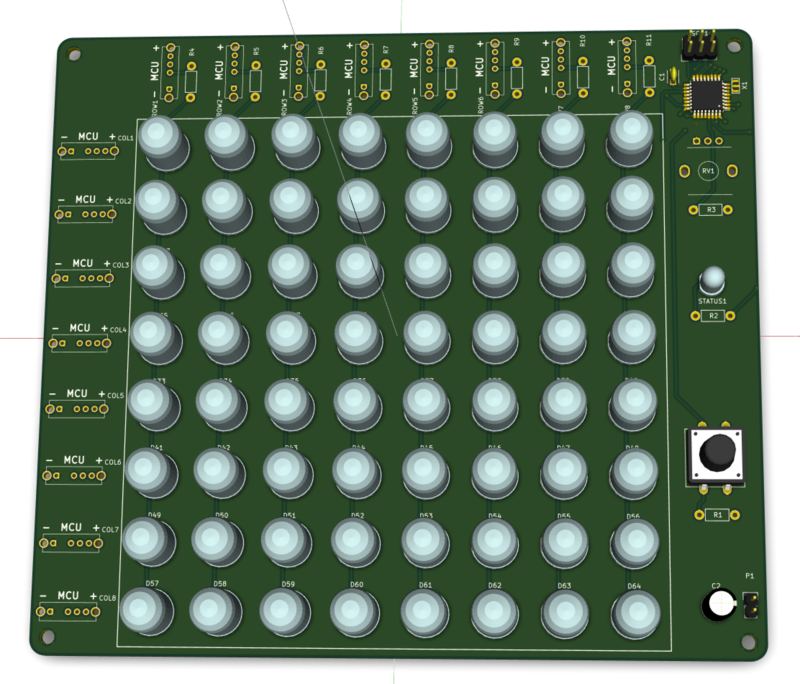 All of a sudden had a couple days of spare time, so I sat down and made two PCB’s that I had been thinking about for a while! I love how we humans use the slowness of our eyes to display pictures. For a long time I've wanted to make a board where I can use the programmable and tiny APA102 LED's (that Adafruit sell as DotStar) to produce POV imagery. For this board I wanted to try out a lot of things that I haven't had time to play with. I have a Lipo charger so the device can both run and charge from a small battery. The APA-102 RGB LED's require 5V and a single cell LiPo battery is anything from 3.6V to 4.2V, so I needed a Boost converter that only works when the battery has enough voltage. If not, the LiPo battery will drain and eventually it'll puff up and get destroyed. The setup I use should have this covered so that I won't need to disconnect the battery. 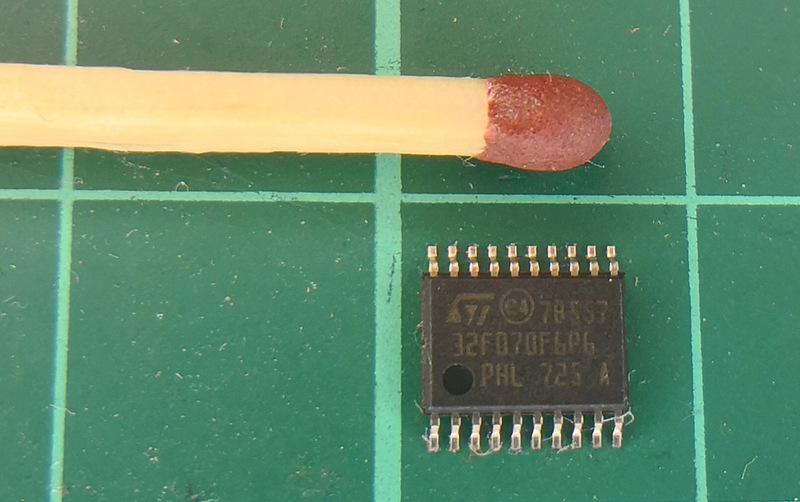 The Microcontroller I'm using is one of the cheapest STM32's I could find that still has USB support. It's super tiny!